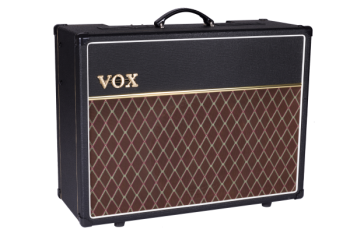 The classic sound of the VOX AC30 inspired a rock revolution that continues to resonate with guitarists today. Inspired by the original, VOX proudly announces the AC30S1, a stripped down, single channel amp that’s packed with legendary tone. Equipped with a single Top Boost channel, a studio quality digital reverb, and a custom voiced 12” Celestion speaker, the AC30S1 represents the evolution of an iconic sound.